“My career in orthodontics has been extremely rewarding and satisfying. I enjoy getting to know each of my patients and watching their smiles improve and confidence grow throughout their treatment. Helping people achieve a beautiful smile and gain greater self-esteem are the professional rewards that I cherish the most." Dr. Kyint Chwa earned his Bachelor of Dental Surgery degree from the Institute of Dental Medicine, Yangon, Myanmar, in 1984. He then attended Northwestern University Dental School, Chicago, IL for his Doctorate of Dental Surgery, Specialty Certificate in Orthodontics, and Master of Science degree. 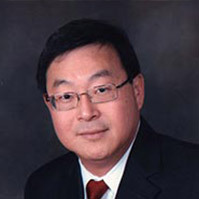 Since graduating in 1994 from Graduate Orthodontic Program, he has held positions as a Clinical Assistant Professor in the Orthodontic Department of Northwestern University Dental School, and in the Department of Orthodontics at the College of Dentistry at the University of Illinois at Chicago. In addition to his teaching positions, Dr. Chwa also participates in continuing education which allows him to stay on the leading edge of orthodontic advances and technology, and up-to-date on treatment philosophies. He is dedicated to exceeding the continuing education standards required of him, and will constantly strive to improve in everything he does. 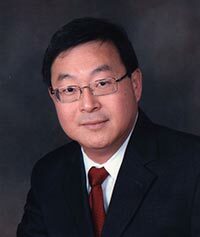 Dr. Chwa was born and grew up in Yangon, Myanmar and lived in the Chicago area since 1988. He and his wife, Laura, moved to Northbrook in 2010. They have two children: Evan is a sophomore at Loyola University and Emily is a junior at Glenbrook North High School. When he’s not at work, Dr. Chwa enjoys spending time with his family, reading, and playing golf. He is also active with the Northbrook Rotary Club and the Northbrook Chamber of Commerce, in addition to the several community programs sponsored by JJC Orthodontics.